I’ve yet to meet someone who truly enjoys Valentines Day. For those of us who are single, it serves as a harsh reminder of the fact that there’s no love in our lives. For those who are in relationships, there seems to be an awful lot of pressure to do something beautifully romantic and special and touching, and going on stories I’ve heard from friends in the past, expectations are rarely met. Personally, I take a very cynical approach to Valentines Day. This may stem in part from the fact that there’s only been one year in my life where I’ve had someone to spend V-Day with, and therefore might feel slightly bitter about everyone else’s loved up status on February 14th. However, the overriding feeling I have is one of slight incredulity that we need to have a set date and to be told when to come over all poetic and soppy. If you’re in a relationship, surely you can make an effort any day of the year. Why do we need Hallmark and ridiculous amounts of pink to dictate when we should be romantic? Apparently this has been going on since the 15th century, so we can hardly blame modern consumerism and brash advertising for this yearly influx of chocolates, tacky teddy bears and hasty proposals. Blame Geoffrey Chaucer and his merry band of poetry-penning pals with their culture of courtly love for the annual pressure to spend lots of money on flowers and restaurants. Even Google’s got the bug with today’s schmaltzy animation. For some reason, I feel rather let down. 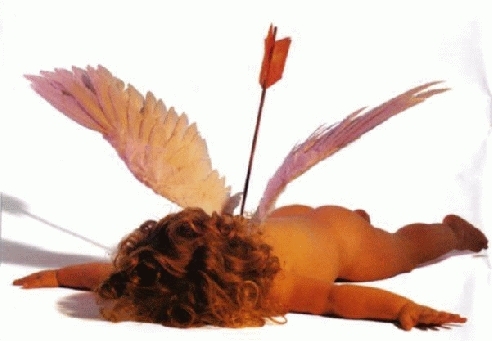 So, all moderately jaded and sarcastic opinions aside, what is the point of Valentines Day? For something that started out as a celebration of Christian martyrs, how has this one unremarkable day of the year turned into such a hyped-up thing of romantic pressure? I realise that there may be some people out there who genuinely enjoy February 14th, who look forward to devising special ways of saying ‘I love you’, and who don’t begrudge the commercial aspect of the whole thing in the slightest. After all, we have specific days in the year to say thank you to our parents, to dress up as witches, to give each other presents, and to get rip-roaring drunk and bring in the new year, so why not have a date every year where we should all say or express how we feel about someone? In truth, I don’t think that there’s anything wrong with this, so long as Valentines Day is not the only day of the year where we make an effort. One couple I know do their own V-Day celebrations on August 14th, which is an effective way of cutting out all the consumerist crap and focusing on the real matter at hand. The fact that they’re nearly always on holiday together at this point makes the whole thing far more special and appealing. After all, you wouldn’t want to dine al fresco mid-February. Perhaps one year I’ll have an amazing Valentines Day and my opinion of this ‘occasion’ will change. But for now, I prefer to treat February 14th like any other day. I’m in the Alps, so I’m going to go skiing, do a bit of work, and then go out and get drunk with my friends. Sounds like a plan.